Knowledge discovery tools and techniques are used in an increasing number of scientific and commercial areas for the analysis of large data sets. When large data repositories are coupled with geographic distribution of data, users and systems, it is necessary to combine different technologies for implementing high-performance distributed knowledge discovery systems. On the other hand, computational grid is emerging as a very promising infrastructure for high-performance distributed computing. In this paper we introduce a software architecture for parallel and distributed knowledge discovery (PDKD) systems that is built on top of computational grid services that provide dependable, consistent, and pervasive access to high-end computational resources. 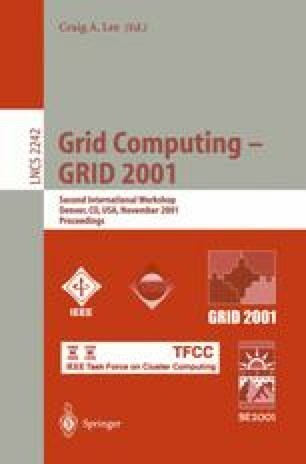 The proposed architecture uses the grid services and defines a set of additional layers to implement the services of distributed knowledge discovery process on grid-connected sequential or parallel computers.